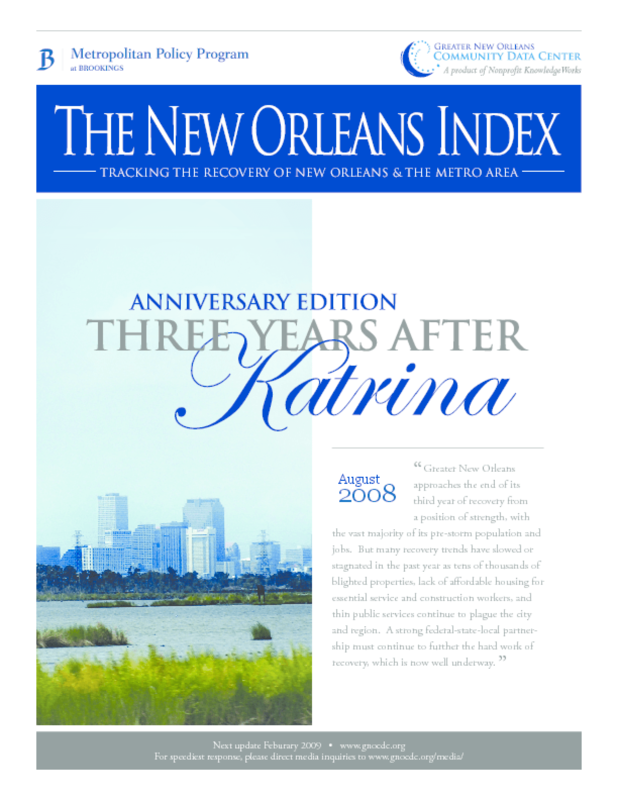 Assesses the progress of the New Orleans region's economic, social, and fiscal recovery. Highlights trends in the population, jobs, housing, and infrastructure indicators, and presents data by neighborhood. Includes comparative data tables from fall 2005.